I bought some organic Minneola Tangelos last time I went to the store. When I juiced one, I was shocked. It was practically a water balloon. I couldn’t believe how much juice came out of each one. I’ve been thinking about marmalade for a while now, and here was a perfect opportunity to make it. My mother loves marmalade, so there was always a jar in the fridge for toast or PB&J sandwiches when I was growing up. I loved the rich orange color, I loved the little wisps of rind, and I loved the “adult” flavor–sweet and bitter at the same time. I made just a small amount of marmalade because I didn’t feel like going through the effort of canning, and besides, I only had three tangelos left. One jar of marmalade would be perfect. In retrospect, this stuff is so damn good I’m sorry I didn’t buy out the store’s entire supply of tangelos to put up as much of it as possible. But I suppose there’s still time for that! I think my absolute favorite way to eat marmalade is on toast with a little Earth Balance margarine to balance the sweetness. 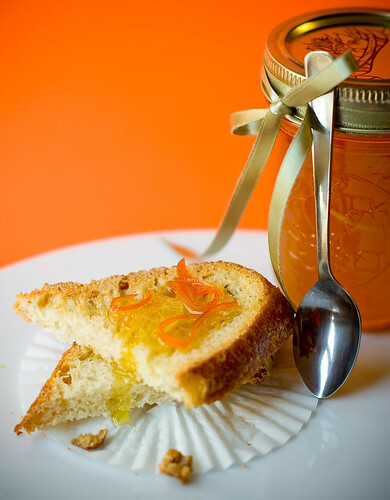 I’m not generally a toast and jam sort of girl, but I make an exception for marmalade. 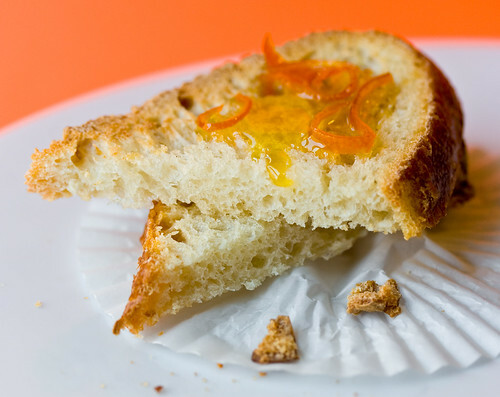 If you only enjoy your marmalade on toast, though, you’re really missing out. It makes an excellent glaze for tofu, seitan, or veggies. It’s perfect in between layers of cake. Mix it in with ice cream, make a dipping sauce for pot stickers… you get the idea. It works equally well for sweet and savory dishes. Additonal Add-Ins: A cinnamon stick, some thinly sliced ginger, hot chilies, star anise. I used three tangelos which was about 1/2 lb peeled fruit, so my measurements were 1 1/2 cups water, 1 cup sugar, and 50% of the zest. That produced approximately 8 oz of finished marmalade. Wash your fruit well and use a regular vegetable peeler to remove the zest. Take the zest off in wide strips, 1-2″ long. Discard 50% of the zest, leaving only the pieces that are in the best condition (no discoloration, etc). Chop the zest. I prefer to julienne it (it’s just so gosh darn pretty that way), but any kind of small cut will do just fine. Boil the zest in water for 10 minutes, then strain. Boil again in fresh water until tender. I boiled mine for about 10 minutes after the rinse, but the time to tenderness will depend on how you cut your zest. Strain and set aside once tender. Meanwhile, chop up your fruit. You can remove the white pith if desired. I left mine on because I was lazy. If you leave yours on, too, remember that this will add to the weight. I wanted to use about 1/2 pound of fruit, so I measured a little heavy (11 oz. as opposed to 8 oz.) to account for the added weight of the peel. Add fruit and water to a large sauce pot (you’ll need a lot of room in there, once the sugar starts to boil the volume will increase considerably). 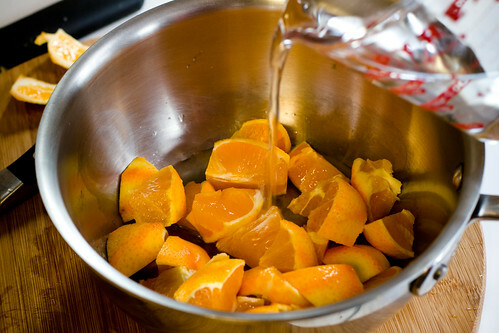 Boil the fruit and water for 15-20 minutes. You can use a potato masher to crush the fruit a bit if desired. Let the fruit/water mixture sit until it’s cool enough to handle, then strain out the juice. Since I was making a small amount of marmalade, I only had 1 cup of juice after straining. Turn off the heat and let the marmalade sit for 20 minutes or so. Then pour it into jars. If you wish to preserve/can the marmalade, now is when you’d process it in a Boiling Water Bath. 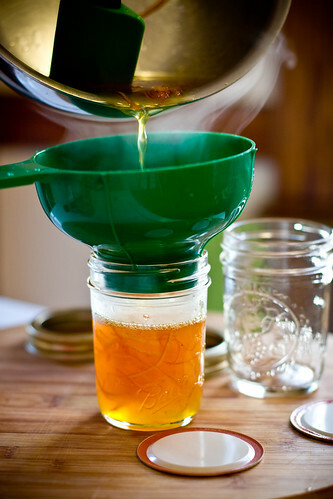 Without a BW bath, the marmalade must be refrigerated and consumed within several days. For canning instructions, follow the directions included with your canning jars. Stay tuned, in a few days I’ll post a recipe for Grilled Marmalade Tofu. That looks so good (and pretty). I love tangelos– I think they’re my favorite citrus for eating! Awesome! Love the pics. I love tangelos and never thought of making a marmalade. Going to give it a try! That top photo? Wow, so very beautiful. I just love the color orange… and orange marmalade is yum. This looks great! I’ve recently become a big fan of marmalade and can’t wait to try this. And I love the bright orange photographs -gorgeous! Thank-you. That sounds really simple, and fun to make. 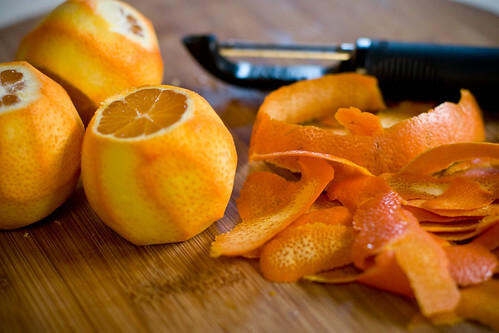 I have made candied orange peel before, and this seems like it has similar steps. I think that i will try this once i get some oranges! lovely pictures! this seems like such a good description of how to make marmalade that I might muster up the courage to try it! Pretty nice…I love the photos. I also learned what tangelo is, i didn´t know. It sounds delicious. I LOVE marmalade. You make it look so easy to make. I shall have to try it! I love how clear the pictures came out. The photo tutorial makes it look so easy. All of a sudden I have a craving for toast and marmalade. Beautiful photographs, as always. So inspiring. wow that seems like a lot of work, but i’m sure it was worth it! yum! What a lovely site you have here! These recipes look fantastic. I’m going to try the parathas tonight to go with a veggie curry. the way you describe this makes it sound wonderful enough to make, but in combination with the pictures it’s just plain irresistible! 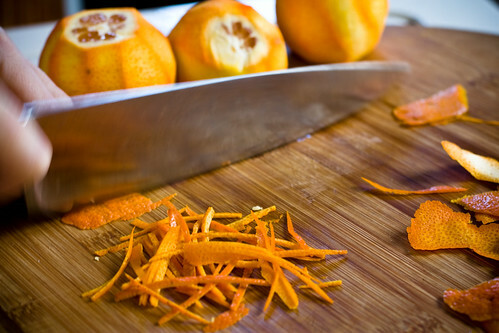 I’m smitten with orange marmalade, so I can only imagine how even MORE divine your tangelo version tastes – yum!!!! awesome. I love marmalades. a few years back i bought some amazing ruby red grapefruit marmalade at the farmer’s market. it was amazing. Ever since then i’ve had an interest in “alternative” marmalades. Great photos! when would i add the ginger? looks delicious! Amazing pictures! I love this recipe. orange marmalade is one of my favorite things. ever. I had no idea if could be so easy to make! thanks! Wow everything is so colorful! Looks delicious. hi do you have the tutorial for felt cakes? could you send it to my email or post the link? You remided me of my mom’s marmelade. It does take a long time but it is so worth it! You captured the colors and the process perfectly! Everything looks so much better through your lens! 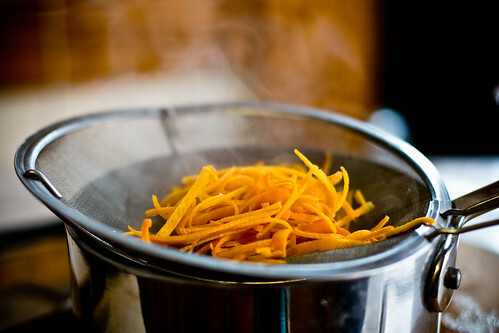 I love marmalade but have never made my own. Oh.. the tangelo season is nearly here.. And then I’ll be making tangelo preserves for all!! I think the crumb cake looks yummy-nummy! I’ve just become vegan, now about a month. My receipes are currently over and over. Now, I have exciting new ones I can see. I’d love to try your Nearly Raw Tahini Noodles. what about apricot? or is that jam, technically? I tried this method/recipe and it did not work for me at all! It tasted great, but never “set up.” After I had done all of that work, I started looking into other marmalade recipes, and ALL of them mention pectin. I’m very new to canning, and this was my first time making marmalade. I like to think that I can come to vegan blogs for help in this, rather than turn to other sources, which are likely to mention gelatin…however the omission of even the suggestion of pectin now strikes me as rather strange. Now I have 10 jars of…zesty orange juice that I don’t think is even thick enough to be a glaze. I love your site and have tried other things on it, but this was disappointing. 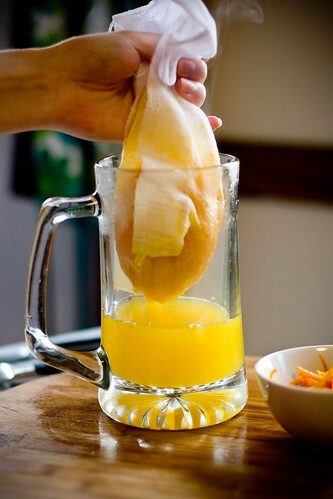 I like the recipe and will try tangelos for marmalade again–with pectin, this time. What makes the marmalade gel?? I don’;t see that in the recipe? ?